Is It Too Late In The Foreclosure Process To Save My Home? The foreclosure process that homeowners are finding themselves in today is incredible stressful and frightening. Many may find that they have even fewer options now than they did a few months ago. While there are always new foreclosures being filed across the country, some homeowners have been procrastinating. Some thought help would fall out of the sky or magically appear in their mailboxes, lenders would be more eager to work with them, the government would do more, or their home values would have risen faster. Unfortunately, for many, nothing ever materialized. Now that the market is improving (though not fast enough for many distressed and delinquent homeowners), banks are rushing ahead with foreclosures and are speeding up the foreclosure process. Many have held up foreclosure sales or paused them at various times for various reasons, but didn’t stop the behind the scenes foreclosure process. Now banks are swooping in to scoop up homes and resell them. So what can you do if you are just days away from foreclosure and realize that it is far better if you can sell your home and prevent further damage to your credit? You can try approaching your bank or loan servicer again, though there is no guarantee that they will slow the foreclosure process. You can research loan refinance options, though odds are it may be too late in the game for this. You could put your home up for sale with a local real estate agent, but even in this healthier market that could take time and seriously dig into any equity you have left. And remember, even if a real estate agent brings you a buyer tomorrow, most could still take months to close, especially with how picky mortgage lenders are being today. There is one more option. You could find an established real estate investment firm that can buy your home for cash and allow you to sell your home fast. 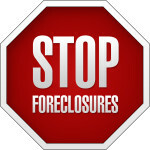 Often times, investment companies can find a foreclosure and purchase it in a matter of days.